With Paphos being the 2017 European Captial of Culture, students from high schools across the island, in a joint initiative between the Cyprus Ministry of Education & Culture and `Pafos 2017`, unleashed their artistic streak and painted 100 giant artworks which line the route around the headland from the medieval castle to the lighthouse. ​The shape chosen for the canvas was inspired by a prehistoric sculpture found in the village of Pomos, known as the `Idol of Pomos’, which dates from around the 30th century BC. The original artefact, which is considered a fertility symbol, is on display in the Cyprus Museum in Nicosia, and represents a woman with her arms spread wide. This figure also adorns the Cyprus 2 Euro coins. Some of the works, which will remain on display until September 2017, pay homage to the natural world with flowers, birds and fish etc, while others have drawn on history, mythology and culture, with intricate depictions of characters and items that shed light on the island’s past. Other art work is more abstract and difficult to decipher. 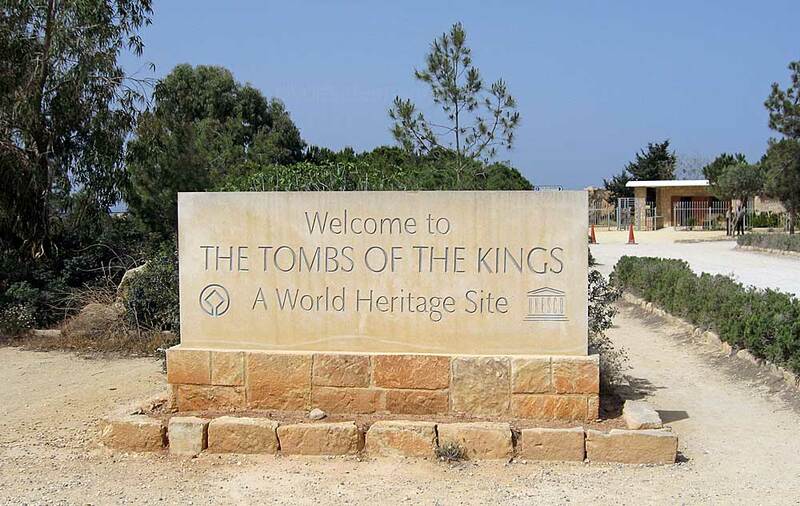 Paphos, on the southwest coast of Cyprus, enjoys a subtropical-Mediterranean climate and is one of the Europe`s major tourist destinations, particularly popular with British holidaymakers. 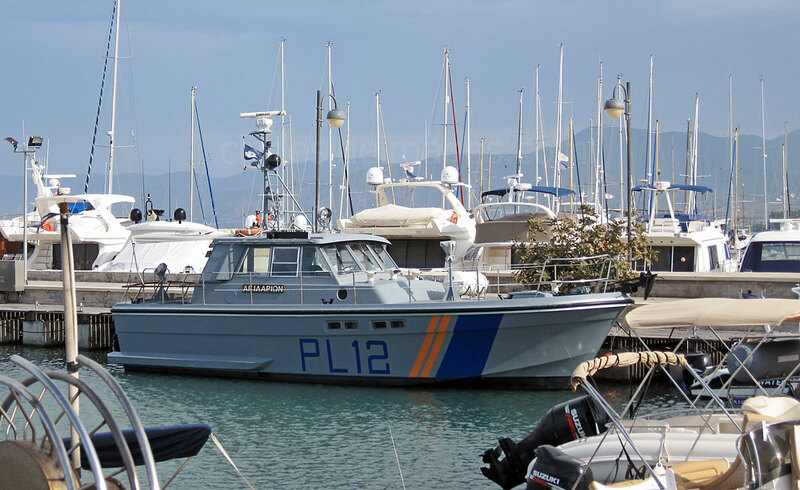 The city lies about 50 km (32 mi) west of Limassol (the biggest port on the island) and Paphos International Airport, the main gateway for tourists, is the country's second-largest. 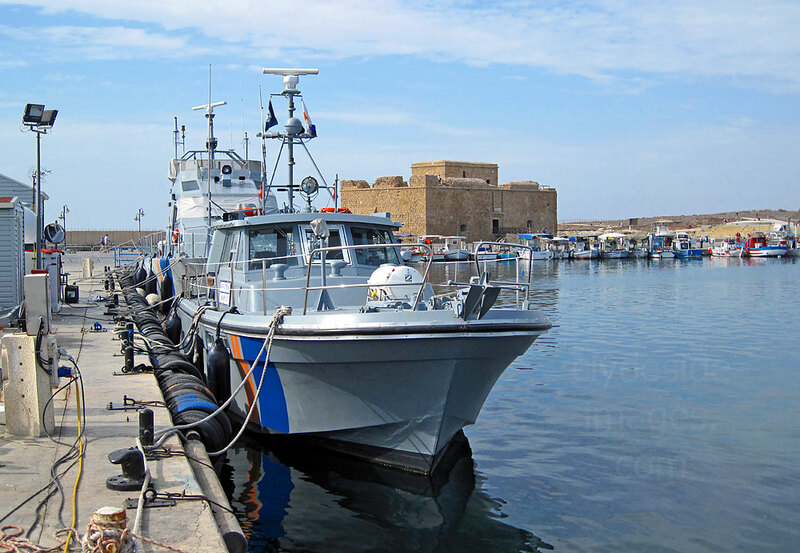 Today, Paphos Harbour serves as a small marina and base for the numerous small, brightly painted fishing boats which try their luck in the surrounding waters, The waterfront which is lined with restaurants and cafes, has a relaxed atmosphere as cargo vessels and cruise ships discharge their goods and passengers at Limassol. 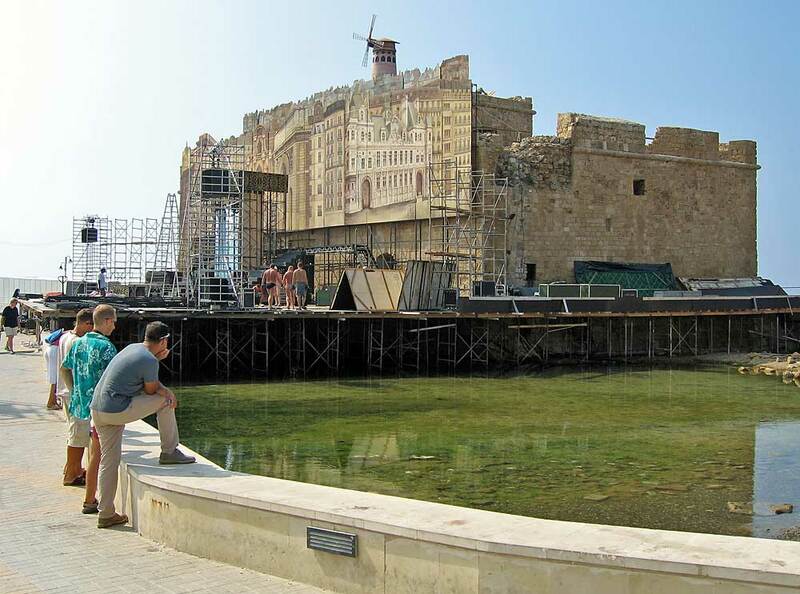 On one visit, the Crusader fort was being transformed into a backdrop for an open-air Operatic performance. 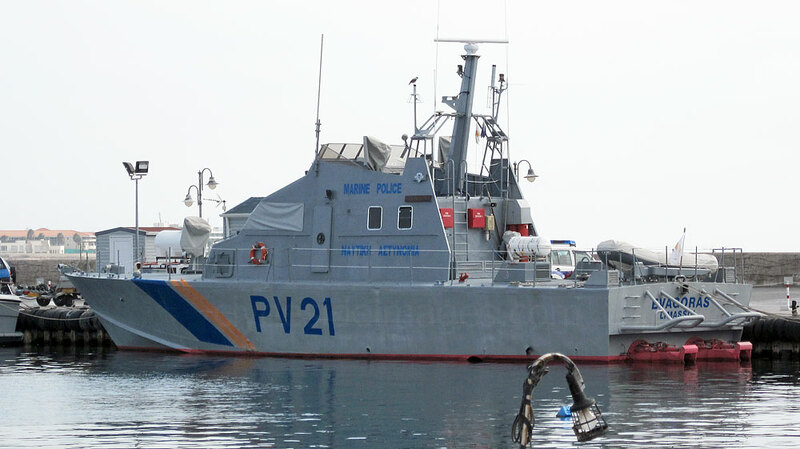 The Cyprus Port & Marine Police unit is the equivalent of a Coast Guard section within the Police Department and its officers are responsible for law enforcement in the waters around the island and can additionally operate in a search and rescue (SAR) role. 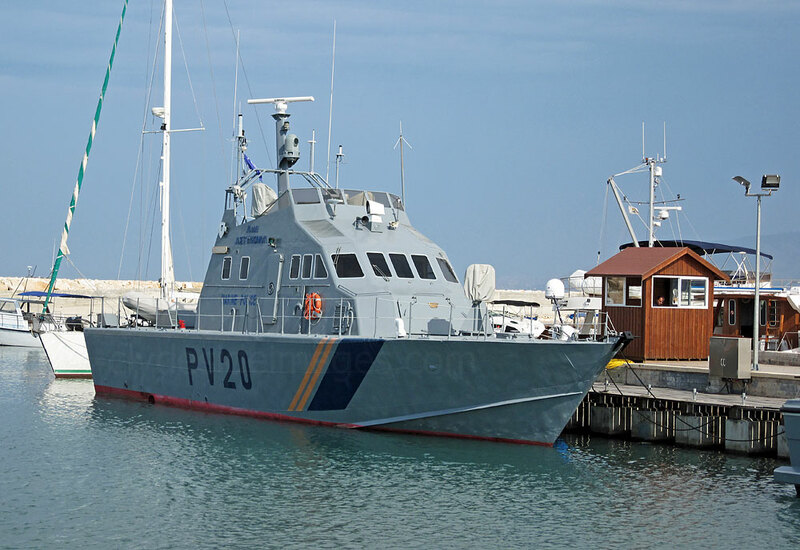 These shots were taken at Paphos and Latchi (Latsi) to the north. Agia Kryiaki ​Church ​(Ayia Kyriaki Chrysopolitissa) ​was built around 1500 AD as a Latin Church on the site of a small church which was destroyed in 59 AD by an earthquake. A Gothic Church, also now in ruins, on the north side of the site, was built around 1300 AD and was converted into a mosque during a period of Ottoman rule. This church turned mosque was destroyed in the 16th century. Following the Turkish invasion of 1570, the Agia Kryiaki ​Church became the Byzantine Cathedral of Kato (Lower) Paphos. Nowadays, the building is utilised by the Anglican Church. 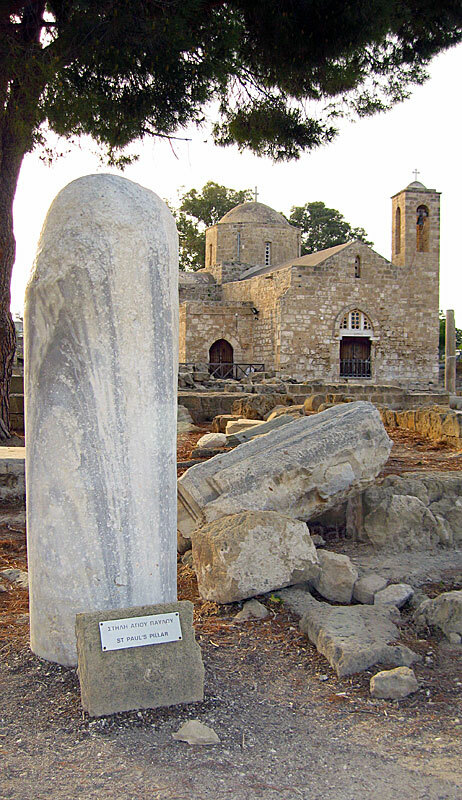 Saint Paul visited Paphos in 45 AD in an attempt to convert the Roman ruler, Proconsul Sergius Paulus to Christianity. He was eventually successful in his efforts, but not before Paulus had him tied to a stone pillar, which still stands, and given 40 lashes for evangelising on the island. This church is, therefore, often referred to as `The Church by St. Paul’s Pillar`. 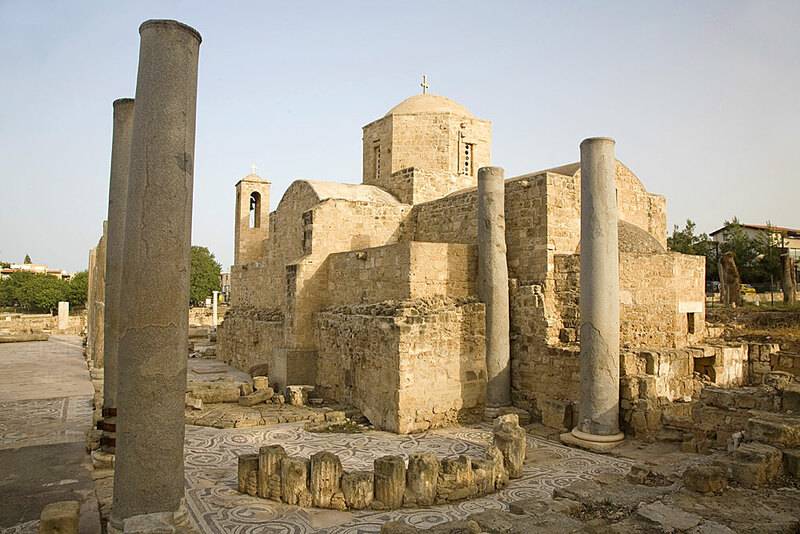 Cyprus is considered the first country to be governed by a Christian. Within the courtyard of these ancient ruins there's a sign that marks the spot where the King of Denmark died in 1103. Eric I (c. 1060 – July 1103), also known as Eric the Good, became King of Denmark in 1095, after the death of his brother Olaf I. Eric I was the first king to go on a pilgrimage after Jerusalem was conquered during the First Crusade. Accompanied by his wife Queen Boedil, and a large company, he travelled through Russia to Constantinople where he was a guest of the emperor. 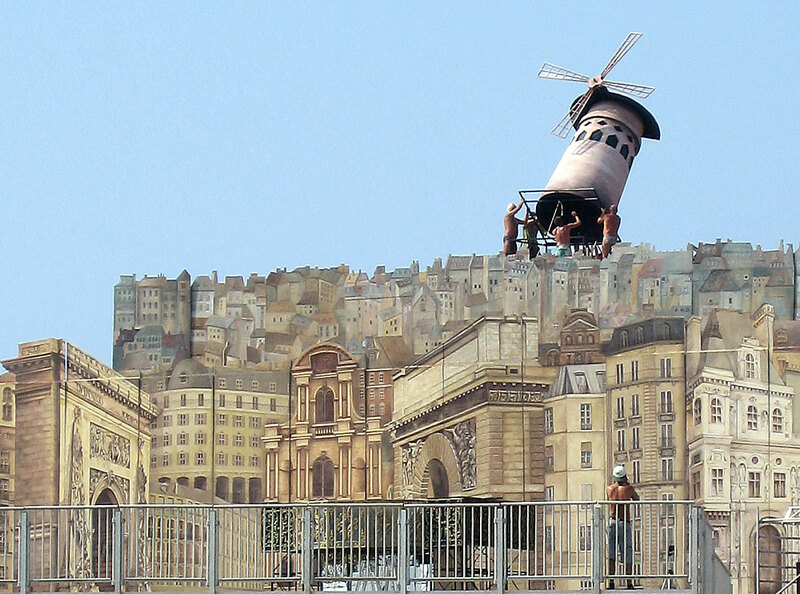 While there, he became seriously ill, but was determined to carry on with his journey. 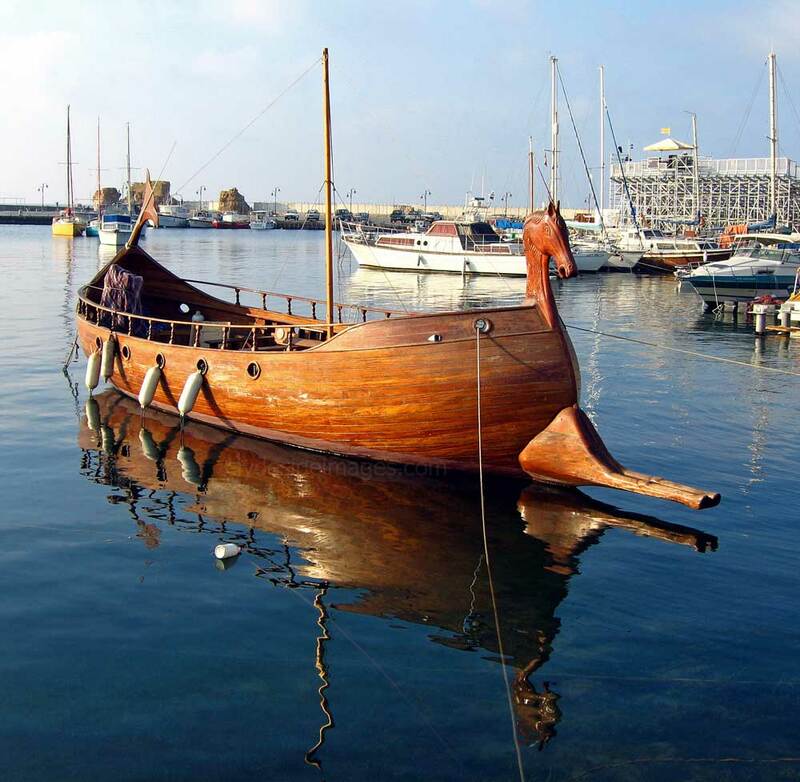 He made it by ship to Paphos but died their in July 1103. The queen, who was also unwell, had him buried there and she continued to Jerusalem where she died. 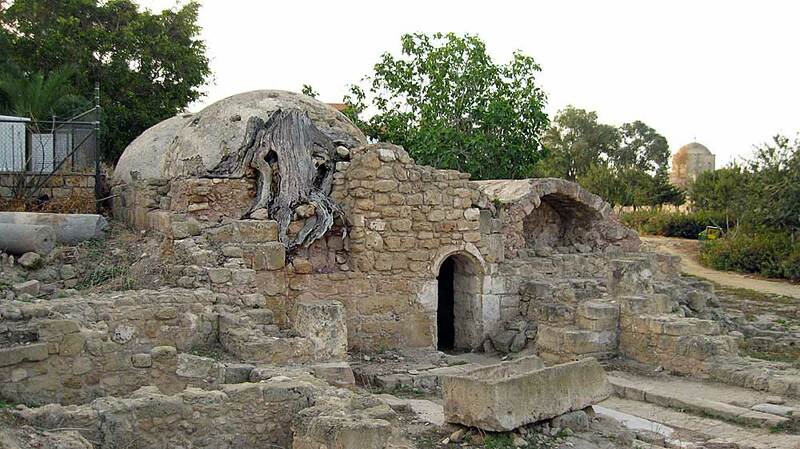 She was buried at the foot of the Mount of Olives in the Valley of Josaphat.